Share Expy Multimedia: Black Friday & Cyber Monday Limited Offer. Everything 10% OFF! Black Friday & Cyber Monday Limited Offer. Everything 10% OFF! We're delighted to bring you our Black Friday and Cyber Monday! Starting now till December 2nd, you'll find all our result checker at 10% off for one week only. 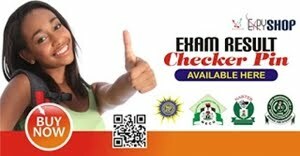 Is that time of the year once again and if you are out shopping for major Nigeria Examinations result checker PIN like WAEC, NECO, NABTEB etc at a lower price you’ve in the right place because this Black Friday & Cyber Monday you’ll get anything 10% off. In order to benefit from the discount, just enter blackfri16 at checkout. Hurry up and grab a deal before it’s expired! The promotion will be live until end of Cyber Monday. 1. The Black Friday Promotions begins at 12.00am (GMT) on 25th November 2016 (the “Start Date”) and closes at 11.59pm (GMT) on 4th December 2016 (the “End Date”). Discounts will only be valid during this time. Discount cannot be used in conjunction with any other discount or promotion or be applied retrospectively. 2. The Black Friday Promotional Offers are only valid on shop.expygroup.com. 3. All promotions are only valid on Result Checker PIN. 4. Expy Shop reserves the right to amend these Terms and Conditions and/or cancel the Black Friday promotion at its sole discretion. 5. 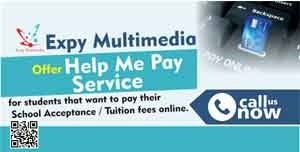 Expy Shop is EXPY MULTIMEDIA LTD, whose registered office is at 82, first floor, Chief Amosun Plaza, Oluwo Junction, Onikolobo, Abeokuta, Ogun State. Copyright © 2016 Expy Shop, All rights reserved.